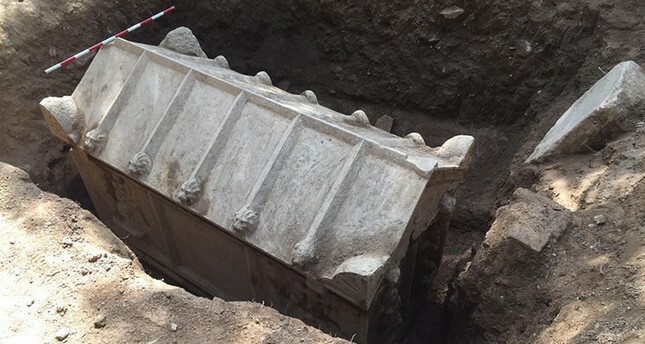 Police teams looking to find a stolen truck in Bursa's Iznik district have discovered a sarcophagus at an olive grove, belonging to the Late Antiquity period. 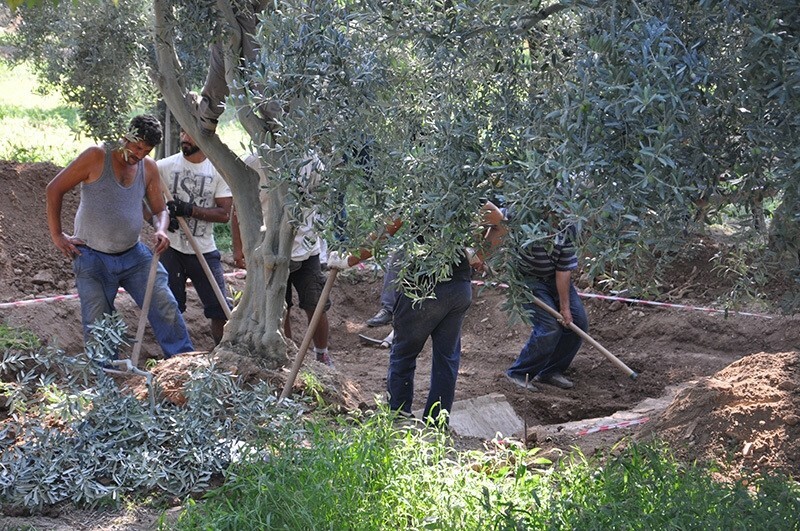 According to reports, the incident took place when police saw an abandoned excavation at an olive grove in Hisardere district, five kilometers away from İznik town center. They informed the gendarmerie, who contacted Iznik Museum to inspect the site. Archeologists from the museum arrived and carefully started digging to reveal the sarcophagus, which is reportedly from the second century AD and is made out of marble. It reportedly has two antefixes on both sides, each of which have five lion's heads and weigh six tons. 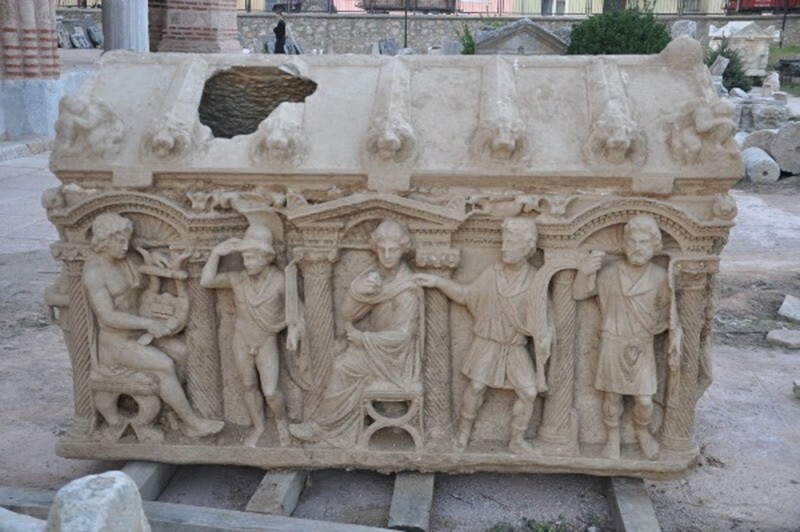 Iznik Museum officials said that they will display the sarcophagus once it is completely removed from the ground. Another sarcophagus belonging to a queen was found near the area 10 months ago. It was also thought to be from the Late Antiquity period and weighed seven tons. When it was discovered, officials discovered that treasure hunters had found and raided it.